If you’re thinking of buying, selling or remodeling a home in Cocoa Beach, Melbourne Beach or elsewhere, you’ve come to the right place! Premium Properties Real Estate Services provides all the tools you need as Brevard County’s only Full Service, Independent Real Estate Services Provider. Whether you’re looking for a seasonal home on the beach, a new place to call home permanently, or a second home by the beach, Premium Properties has you covered. 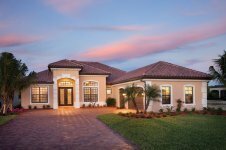 Looking for property in Central Florida? Browse through our listings to the left. Premium Properties has you covered! Looking for beachside homes? Take a look to the right, Premium Properties has you covered! In business since 1999, Premium Properties Real Estate Services is the number one Independent Real Estate company in the Central Florida & Brevard County areas. Here are some of our most common questions we get from clients and potential clients. In Cocoa Beach we are located conveniently next to Publix, and in Melbourne Beach next to Publix too! Our Central Florida real estate offices are strategically located in the best areas to serve you including Lake Nona, Lake Mary, Sanford, Downtown Orlando, and Dr. Phillips. Always able to get the information that I need and the team there is always friendly. Our Realtor, Bryant Day was great. He was very patient with us while we tried to figure out what we wanted and changed our minds during the process. He was always available and quick to make appointments and show us properties. We LOVE our home, and have recommended Bryant more than once! Always had a good list of homes to see. Quick, efficient, and great to work with. If the home wasn’t good when we walked in we turned around and found a good home on the list.